Ashton Roofing are proud members of the Federation of Master Builders, “Trustmark” endorsed Roofing Contractors and are Tameside’s Which? 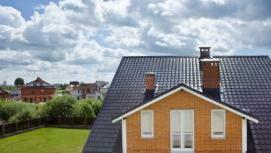 Truster Traders Approved Roofing Contractors. Which? is well known as the UK’s leading consumer protection body whose assessors all have a Trading Standards background. We are also Government endorsed through Trustmark.Trustmark is the Government backed initiative to help consumers find reliable and trustworthy local tradesmen to carry out repairs inside and outside the home. It is widely supported by Consumer Protection Organisations Local Trading Standards and the Building Industry. As a fully warranted and registered building company we offer a full Masterbond Warranty.